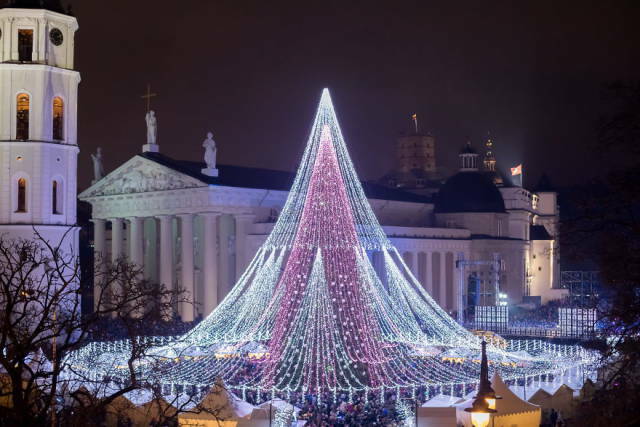 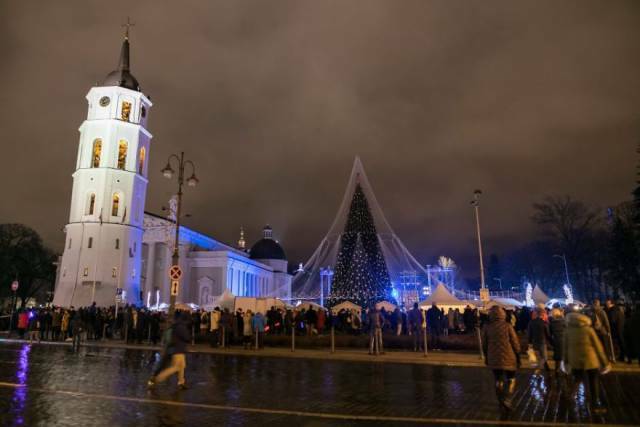 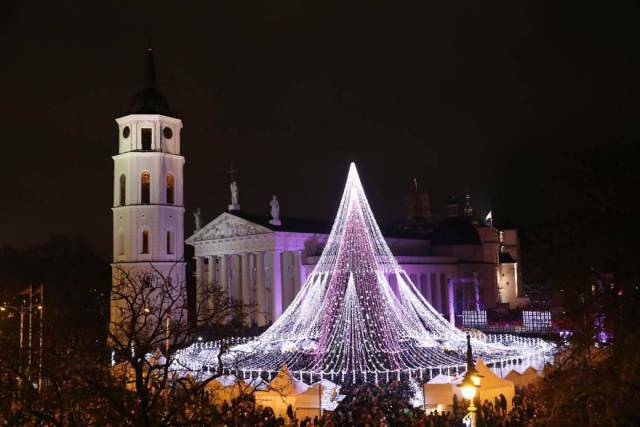 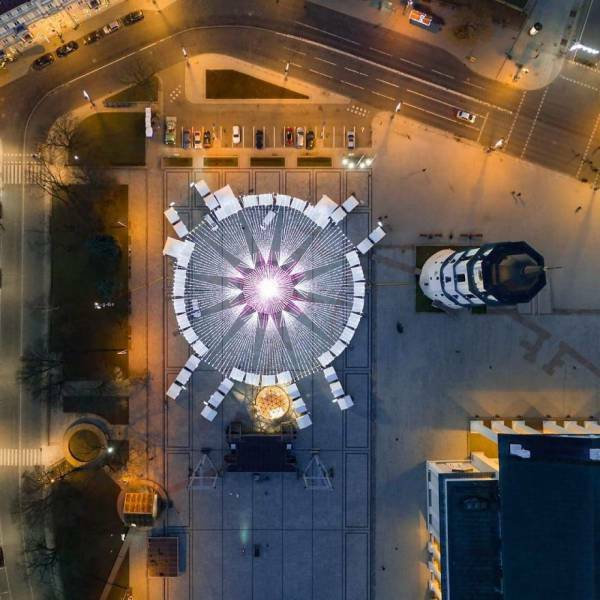 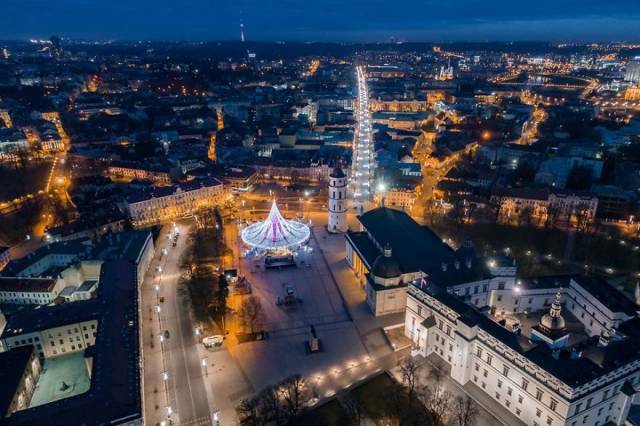 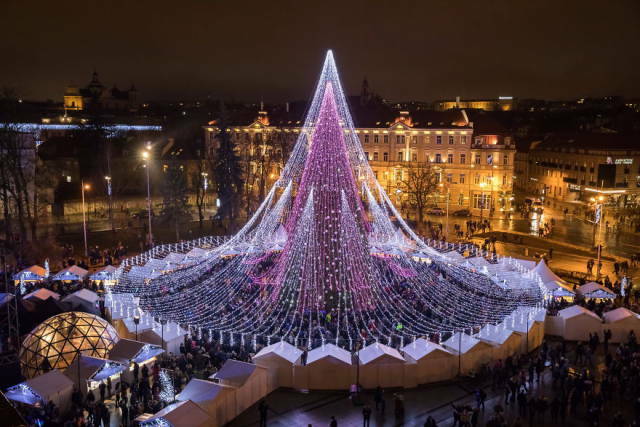 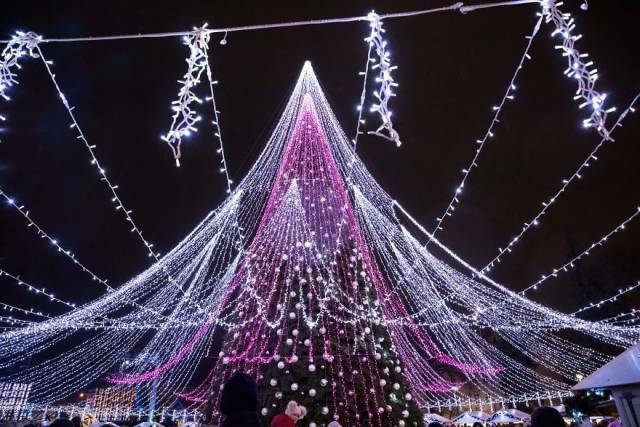 On the evening of December 1st, 2017, Christmas season has officially started in Vilnius as the main Christmas Tree was lit at the Cathedral Square. 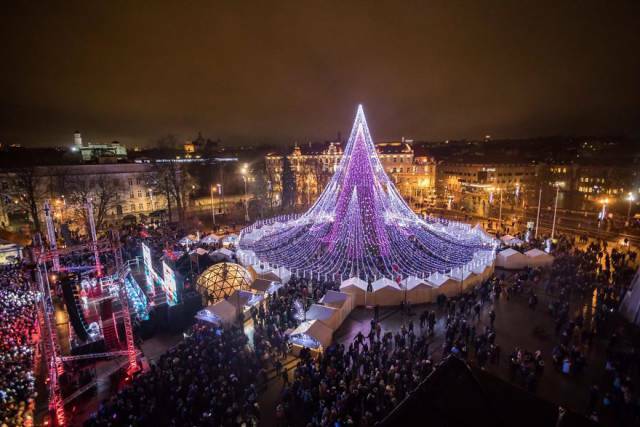 It has more lightbulbs than last year’s Christmas Tree with amazing height of 27 meters, 2700 Christmas toys on it and total of 70,000 illuminating lightbulbs. 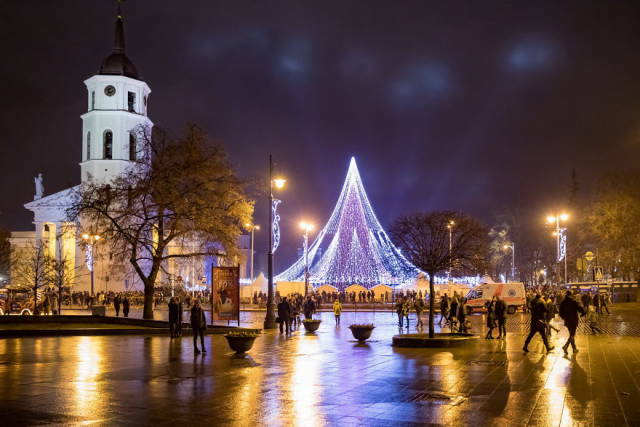 In total, it covers 2,500 square meters.